I need volunteers for the Race for the Cure Sunday morning May 12th in Schenley Park. If interested, please e-mail me at nu3q@nu3q.us or call me at 412-736-7385. THE SPRING 2019 SIMULATED EMERGENCY TEST WILL BE A FLOOD AND ICE WATCH EXERCISE. ALL COUNTIES WITHIN THE SECTION HAVE WATERWAYS (RIVERS, TRIBUTARIES AND STREAMS) THAT CAN BE PRONE TO FLOODING FROM ICE JAMS, SNOW AND ICE MELT, SEVERE WEATHER, HEAVY STORMS,ETC. THE AFOREMENTIONED WATERWAYS CAN HAVE SUBSTANTIAL IMPACT WHEN FLOODING OCCURS CAUSING SERIOUS THREATS TO INFRASTRUCTURE, PERSONAL SAFETY AND PROPERTY. HAVING KNOWLEDGE OF THESE HIGH WATER PRONE AREAS CAN BE INVALUABLE FOR EMERGENCY PREPAREDNESS & ACTION PLANS SHOULD THE NEED ARISE. ALL ARES UNITS WITHIN THE WESTERN PENNSYLVANIA SECTION ARE REQUESTED TO PARTICIPATE IN THE EXERCISE. SHOULD THERE BE ANY SCHEDULE CONFLICTS THAT WOULD INTERFERE WITH FULL GROUP PARTICIPATION, IT IS REQUESTED THAT SOME TYPE OF PARTICIPATION BE MADE BY AVAILABLE OPERATORS. 4- SKYVIEW RADIO SOCIETY K3MJW WILL BE THE SECTION HF STATION WITH TWO-WAY RADIOGRAM TRAFFIC. ACTIVITY 1—FIELD TEAMS LOCATE WATERWAYS KNOWN TO BE FLOOD PRONE… OBSERVE AND REPORT WATERWAY CONDITIONS BY SIMULATED RADIO TRAFFIC TO THEIR INDIVIDUAL NET CONTROL STATIONS VIA UHF/VHF SIMPLEX OR REPEATER. FIELD OPERATORS ARE ENCOURAGED TO USE SIMPLEX COMMUNICATIONS BETWEEN TEAMS. ACTIVITY 2—FIELD TEAMS WILL VISIT THREE OR FOUR EMERGENCY SHELTERS THAT WOULD BE OPERABLE DURING A HIGH WATER SCENARIO. FIELD TEAMS REPORT SIMULATED TRAFFIC TO THEIR NET CONTROL STATION WITH ANY SHELTER REQUESTS,ETC. SUCH TRAFFIC WILL BE RELAYED TO K3MJW VIA RADIOGRAM AND A REPLY SERVICED BACK TO FIELD TEAMS AT SHELTERS BEFORE MOVING ON TO THEIR NEXT LOCATION. ACTIVITY 3—NATIONAL WEATHER SERVICE WX3PIT WILL CONDUCT SKYWARN NET OPERATIONS DURING THE EXERCISE. WX3PIT WILL CONTACT ALL COUNTIES SEVERAL TIMES DURING THE EXERCISE FOR WEATHER RELATED REPORTS. IT IS PREFERRED THAT WEATHER REPORTS TO WX3PIT BE REAL TIME AS NOT TO CONFUSE THE EXERCISE. ACTIVITY 4—SKYVIEW RADIO SOCIETY K3MJW WILL BE THE SECTION HF STATION ACCEPTING AND RELAYING HF RADIOGRAM TRAFFIC DURING THE EXERCISE. ALL RADIOGRAM TRAFFIC WILL BE TWO-WAY TO HELP PARTICIPATING COUNTIES GET FAMILIAR WITH HANDLING MESSAGE TRAFFIC. REMEMBER- EMERGENCY SUPPORT COMMUNICATIONS RELY UPON OUR BEING PROFICIENT IN ACCURATELY GETTING THE MESSAGE THROUGH IN TIME OF NEED. -THE SAFETY OF FIELD OPERATORS IS OF UTMOST IMPORTANCE DURING THE EXERCISE. BE OBSERVANT OF YOUR SURROUNDINGS WHETHER ALONG ROADWAYS, WATERWAYS,SHELTERS,ETC. -OBSERVE AND REPORT WATERWAYS FROM A SAFE DISTANCE. THERE IS NO NEED TO BE AT THE WATER’S EDGE. -USE COMMON SENSE SAFETY WHEN ALONG ANY ROADWAYS. -FIELD TEAMS USE VHF/UHF SIMPLEX OR REPEATERS…EXPERIMENT WITH SIMPLEX BETWEEN FIELD TEAMS. -K3MJW WILL UTILIZE 75M 3.983 KHZ FOR RADIOGRAM TRAFFIC…FOLLOW THE DIRECTION OF K3MJW OPERATOR FOR INBOUND OR OUTBOUND TRAFFIC TO AVOID CONFUSION. -WX3PIT WILL UTILIZE 2M REPEATERS PLUS 75M 3.975 KHZ +/_ SEVERAL Hz FOR DISTANT COMMUNICATIONS. 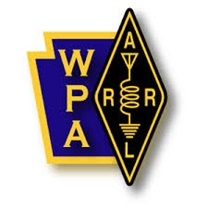 -NEW THIS SPRING WILL BE THE USE OF DMR DURING THE EXERCISE…THE WESTERN PENNSYLVANIA TALKGROUP IS 31422. GIVE IT A TRY, DMR IS COMING ON STRONG. C- BETTER DEVELOP PREPAREDNESS PLANS FOR SEVERE WEATHER OCCURRENCES WHEN RIVERS,TRIBUTARIES AND STREAMS OVERFLOW THEIR BANKS DUE TO HEAVY RAINS, WINTER ICE AND THAW,ETC. D- PREPARE TO WORK WITH SERVED AGENCIES SUCH AS EMERGENCY SHELTER OPERATORS. 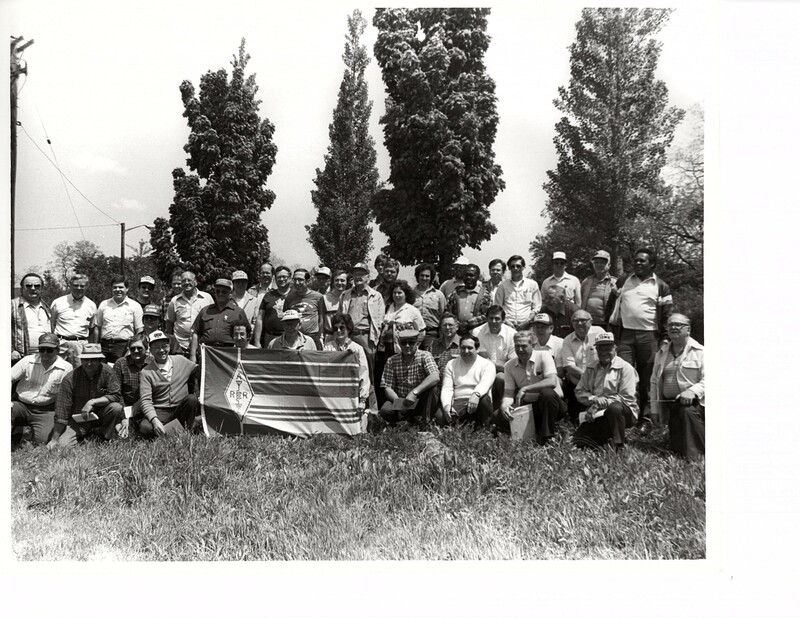 COUNTY PUBLIC SAFETY AND THE US ARMY CORPS OF ENGINEERS. AN AFTER ACTION REPORT SUBMITTED BY EMERGENCY COORDINATORS IS REQUESTED BY 20 APRIL…THIS IS DIFFERENT THAN A PUBLIC SERVICE REPORT…LET’S SEE HOW WE DID, WHAT WORKED WELL, WHAT NEEDS IMPROVEMENT,ETC. WE’RE ALL ON THE SAME TEAM AND CAN LEARN FROM EACH OTHER. PLEASE FEEL FREE TO CONTACT ME WITH ANY QUESTIONS. THANK YOU FOR PARTICIPATING IN THE EXERCISE! New ARES Simplex Frequency Plan Approved! NOTE! Every ham should have these simplex frequencies programmed into their mobile and HT radios. It is good to be prepared before the emergency. At the February 9th WPA Cabinet Meeting, the proposed WPA ARES Simplex Frequency Plan was unanimously approved. This new suggested frequency plan improves our use of scarce frequencies, and greatly enhances ARESMAT (mutual aid) operations, by ensuring that every radio has every frequency pre-programmed into it for the entire section! Additionally, they were chosen to align on 30 kHz-spaced channels to facilitate their availability on older radios, including ancient crystal-controlled radios and 1970s-vintage synthesized rigs. The result provides maximum compatibility with 90% or more of all radios that might be pressed into service. THE NATIONAL WEATHER SERVICE HAS ISSUED SEVERAL SEVERE WEATHER WARNINGSFOR ALL 33 COUNTIES OF THE WESTERN PENNSYLVANIA SECTION. BETWEEN NOW AND MONDAY, 21 JAN, SIGNIFICANT SNOWFALL OF ONE TO AS MUCH AS TWO FEET OF SNOW WILL FALL ON ALL COUNTIES IN THE WPA NORTH-1 AND NORTH-2 DISTRICTS. ALTHOUGH LESS SNOW IS FORECAST FOR SOUTH-1 AND SOUTH-2 DISTRICTS, THEY COULD RECEIVE OVER 1/4 INCH OF ICE. BEGINNING SATURDAY NIGHT AND CONTINUING INTO MONDAY, TEMPERATURES WILL DROP AND COMBINE WITH HIGH WINDS TO PRODUCE DANGEROUS WIND CHILL CONDITIONS. Primary Daytime and Nighttime Frequencies starting on Saturday at 0800. Talkgroup on the Brandmister network starting at that time. Travis Best W3TMB at acso@pa.gov. ALL WPA ARES MEMBERS ARE ASKED TO MONITOR THE PEMA FREQUENCIES OF 3993.5 AND 7250.5 KHZ LSB VOICE AND/OR 3583.0 AND 7072.5 (USB DATA) FOR DATA TRANSMISSIONS, PER THE ICS-205 FORM. AFTER CHECKING IN, CONTINUE TO MONITOR AND FOLLOW THE DIRECTIONS OF THE NET CONTROL STATION. ONLY TRANSMIT IF YOU HAVE TRAFFIC OR ARE CALLED BY NCS. WPA ARES HAS NOT BEEN CALLED AS OF THIS WRITING. 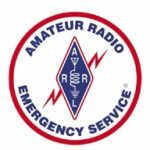 PLEASE MONITOR YOUR LOCAL AMATEUR RADIO EMERGENCY FREQUENCIES, THE PEMA FREQUENCIES AND IF REQUESTED, THE ARES FREQUENCIES OF 3983 AND 7272 KHZ LSB VOICE, YOUR COUNTY SIMPLEX FREQUENCY AND REPEATERS. PEMA WILL BE USING THE “PEMA EMCOMM” TALKGROUP #31420, AND THE ALTERNATE #31421. WESTERN PENNSYLVANIA ARES OPERATIONS WILL BE CONDUCTED ON THE “WESTERN PENNSYLVANIA” TALKGROUP #31422 IF NEEDED. THESE TALKGROUPS ARE ALL REGISTERED WITH THE BRANDMEISTER NETWORK. FOR MORE INFORMATION ABOUT CONNECTING TO THESE GROUPS, PLEASE CONTACT YOUR REPEATER’S TRUSTEE OR OTHER RESPONSIBLE PARTY. THE TIME TO PREPARE FOR THIS EVENT IS NOW. PLEASE ENSURE YOUR EQUIPMENT IS READY AND PROPERLY CONFIGURED. 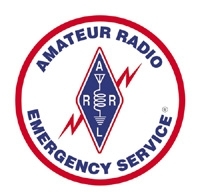 The ARRL Public Service Enhancement Working Group has completed its two-year project to re-tool the Amateur Radio Emergency Service (ARES) to meet the requirements of partner agencies, nationwide. The new program will consist of ARES Members who are “organized, trained, qualified and credentialed” to better serve our partner agencies. The new program features three levels of ARES membership, which are matched by three levels of required training and certification. The training requirements will be met by members completing free, online courses including NIMS IS-100, IS-200, IS-700 and IS-800 and the newly revised ARRL EC-001, which will be provided free of charge to ARES members. Additional training is required for all ARES leadership appointees (“*ECs”). The ARRL Board has opened a public comment period which runs until October 31. ARRL requests your comments to be sent through your Section Emergency Coordinator <sec@wpa-arrl.org> and Section Manager <sm@wpa-arrl.org> only. The Board will review all comments and vote on the final program at the January 2019 ARRL Board Meeting. The current OO program will end, and be replaced by a new Volunteer Monitoring program, administered by ARRL HQ, working closely with FCC. All current OOs will be invited to apply for the new program, which will concentrate on major enforcement issues the FCC requests. The goal is to provide more rapid enforcement response to significant, developing on-the-air violations rather than more minor operating and technical issues. Much more information about these developments is available online at www.arrl.org and in upcoming issues of QST. Every Saturday morning, following the 9:00 WPA ARES Voice Net on 3.983 MHz, we have been meeting on the 60 meter band to make signal strength comparisons across our WPA Section, and to try different antenna configurations to determine what works best to cover or 25,000 square-mile Section. We meet on 60 meters on 5403.5 kHz upper sideband immediately after the 80 meter net. If that channel is in use, we will use 5371.5 USB. Even if your equipment cannot transmit on the 60 meter band, please tune in and listen, then send me a report of the stations you heard, and your signal report for each. This information is very useful, and the more reports we get the more meaningful the information becomes. 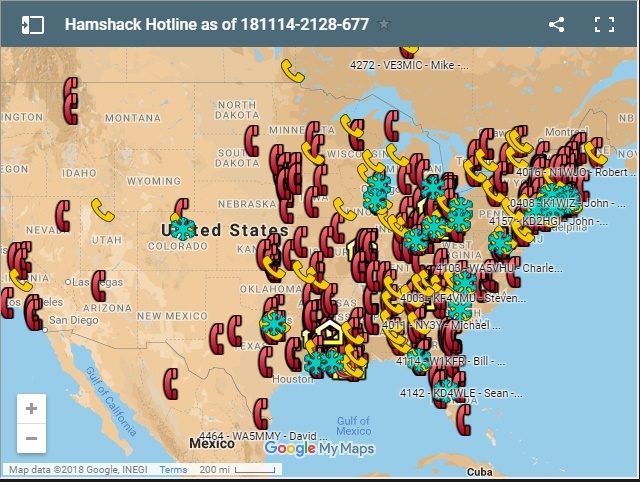 HAMSHACK HOTLINE https://hamshackhotline.com This would be a nice addition to our E-Comm station and get other clubs in the area to get involved to have a back up system if the radio system is busy. Faxing and video can be used over the IP phone also. Hamshack Hotline (HH) is a FREE dedicated voip telecom service for the Ham R to radio community. Typically, phones are established in hamshacks, EOCs, Clubs & club members, ARES, and other Ham related areas and functions. It is not the intention of HH to replace traffic carried over radio in an emergency or other tactical operation, but rather to augment it, by offloading managerial tactical operations and providing a full duplex path for such communications when spectrum is occupied, conditions diminished, or otherwise unavailable. HH also supports FAXing of information (with appropriate equipment) which allows tactical offices to share documents & data between tactical locations. In a non-tactical use, HH is an effective resource for off-air troubleshooting when you need to coordinate a troubleshoot of a radio circuit off-air and between multiple SMEs. 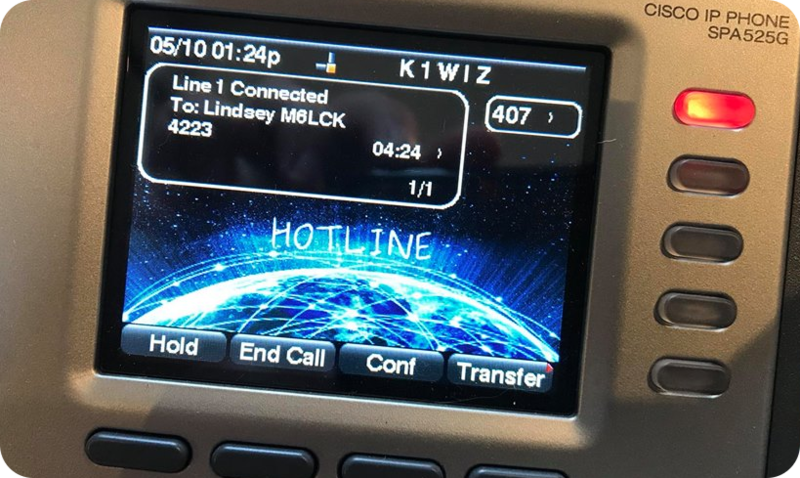 In addition to all this, conference bridges on the HH network allow large groups of Hams to coordinate & meet in real time anywhere in the world. Getting on board HH is easy! Just acquire a supported SIP capable phone (our network prefers to register hardware phones first), and open a ticket once you have your phone. If you have one of the phones on our supported hardware list, then also include a picture of the Phone’s MAC address for super easy provisioning. Beside members getting a handset Steel City could purchase extra handset for the Allegheny EOC, Salvation Army, American Red Cross, the National Weather Service and we can make them available to local clubs also. If you look at the map below you can see the country is pretty well covered already except for the Western PA area. Steel City can lead the way with this build out. For example last SETI drill Skyview 5 Mhz set up failed and Steel City had to take over net control. With Hamshack Hotline we could continue having a speakerphone connection with Skyviewv clubhouse and the person in charge of the drill. This system would work over an digital mesh network that has been brought up several times. There even examples of being able to tie the phone connection to a club repeater network. RADIO AND SERVED AGENCIES…NOT IN THE SENSE OF “WHEN IT ALL HITS THE FAN” BUT IN THE CONFIDENT PERFORMANCE OF CORE CAPABILITIES TO GET THE MESSAGE THROUGH. TO BEGIN THE S.E.T., PARTICIPATING COUNTIES WILL ACTIVATE THEIR SKYWARN NETS ANNOUNCING SIMULATED WEATHER CONDITIONS WHILE CALLING THEIR RESPECTIVE RADIO OPERATORS TO ACTIVE STATUS FOR THE REMAINDER OF THE EXERCISE. THIS COMPONENT INVOLVES THE ABILITY OF EACH COUNTY NET CONTROL TO OPERATE ON 60M. SKYVIEW RADIO SOCIETY, K3MJW, WILL BE HANDLING THE SECTION 60M TRAFFIC ON CH.4 (5371.5khz) AND CH.5 (5403.5khz) AS BACK UP FREQUENCY SHOULD THE NEED ARISE. ONCE THE EXERCISE BEGINS AT 0930 HRS, EACH COUNTY NET CONTROL STATION WILL CHECK IN WITH K3MJW TO BE ON THE EXERCISE PARTICIPATION ROSTER.HOURLY, K3MJW WILL CALL EACH PARTICIPATING COUNTY WITH INSTRUCTIONS TO CONTACT ANOTHER COUNTY WITHIN THE W.PA. SECTION AND HAVE THAT COUNTY CALL K3MJW WITH CONFORMATION OF CONTACT. IT IS REQUESTED THAT ALL COUNTIES KEEP A LOG OF STATIONS HEARD ON THE 60M FREQUENCIES. 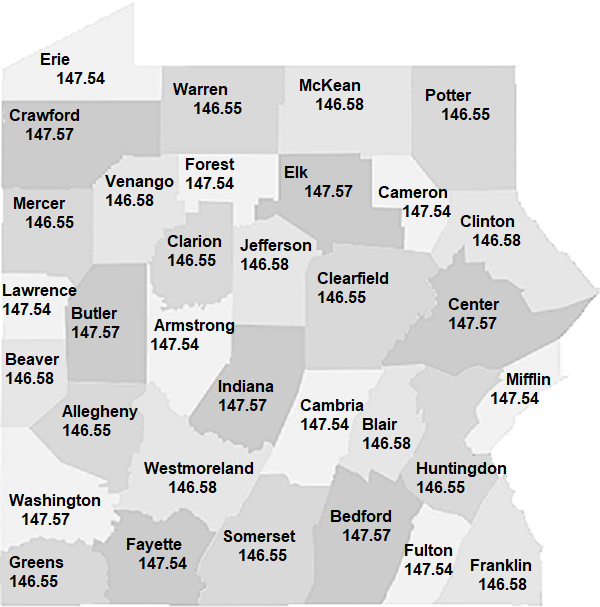 THIS DATA WILL BE COMPILED FOR THE W.PA. SECTION 60M DATABASE. -EXPERIMENT WITH DIFFERENT OPERATING MODES (DIGITAL,SATELLITE,CW,ETC) . -DEVELOP A SOLUTION TO A PARTICULAR COMMUNICATIONS PROBLEM WITHIN THEIR RESPECTIVE OPERATING AREA. -BUILD AND TEST DIFFERENT ANTENNAS. -ACCESS COMMUNICATIONS FROM KNOWN WEATHER RELATED IMPACT AREAS WITHIN THEIR COUNTY. -PLAN AND EXECUTE A RESPONSE TO A LOCAL EMERGENCY. -SET UP AND OPERATE FROM A REMOTE LOCATION. IN OTHER WORDS…PUSH THE COMFORT ZONES! MAKE THIS COMPONENT CHALLENGING YET ENJOYABLE FOR ALL WHO PARTICIPATE. PLEASE PROVIDE A SUMMARY OF COMPONENT C WITH THE S.E.T. REPORT AND ICS FORMS. TO GETTING THE MESSAGE THROUGH! 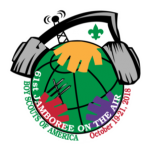 Jamboree-on-the-Air, or JOTA, is the largest Scouting event in the world. It is held annually the third full weekend in October. JOTA uses amateur radio to link Scouts and hams around the world, around the nation, and in your own community. 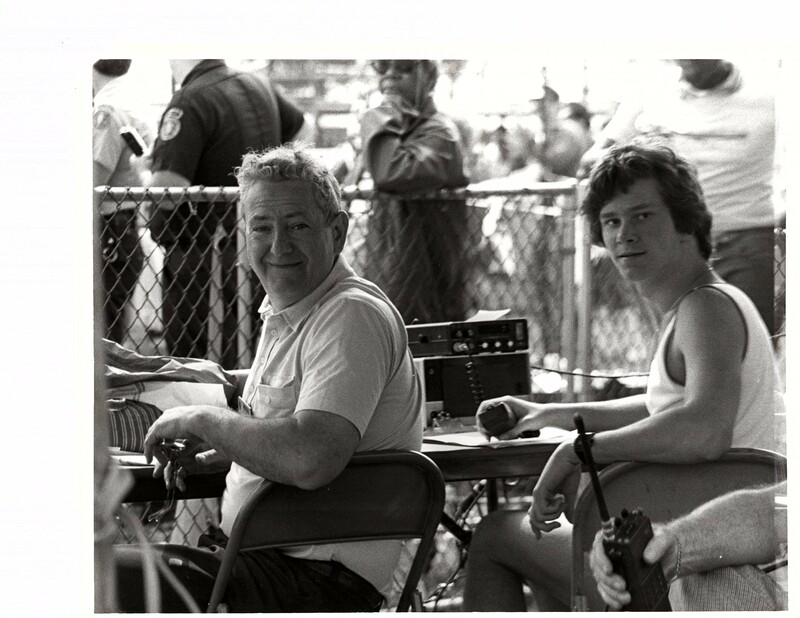 This jamboree requires no travel, other than to a nearby amateur radio operator’s ham shack. Many times you can find the hams will come to you by setting up a station at your Scout camporee, at the park down the block, or perhaps at a ham shack already set up at your council’s camp. Jamboree-on-the-Air is held the third weekend in October. There are no official hours, so you have the whole weekend to make JOTA contacts. The event officially starts Friday evening during the JOTA Jump Start and runs through Sunday evening. Question for the club… Do we want to participate?